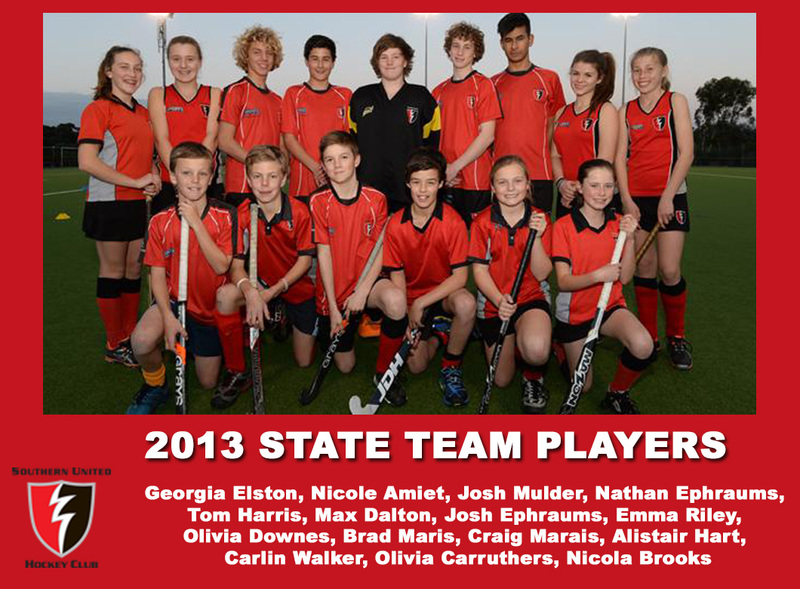 What representative hockey is available? 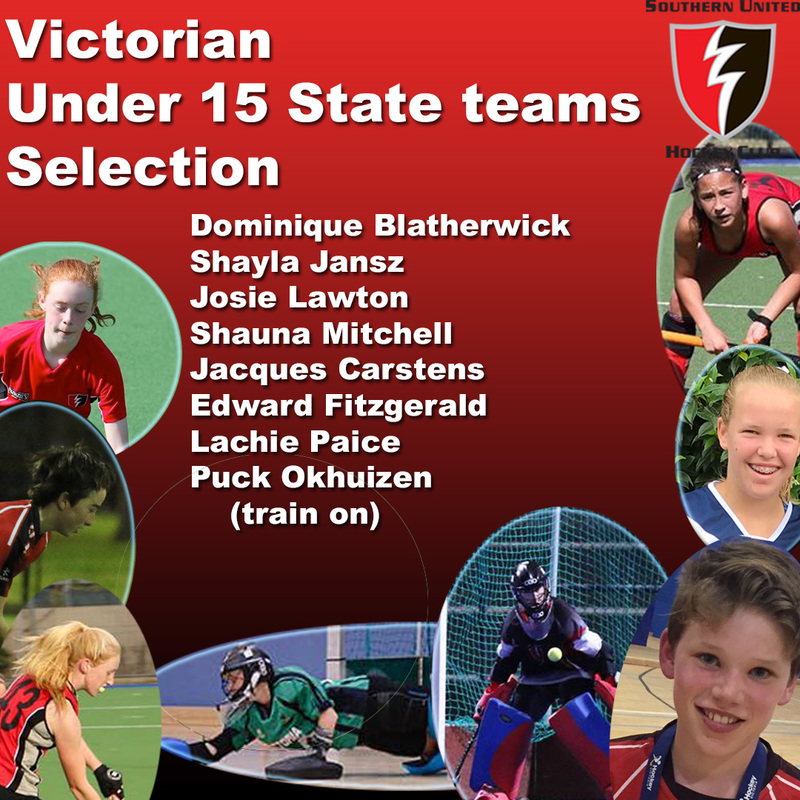 Players have opportunities to play in various levels and forms of representative hockey. 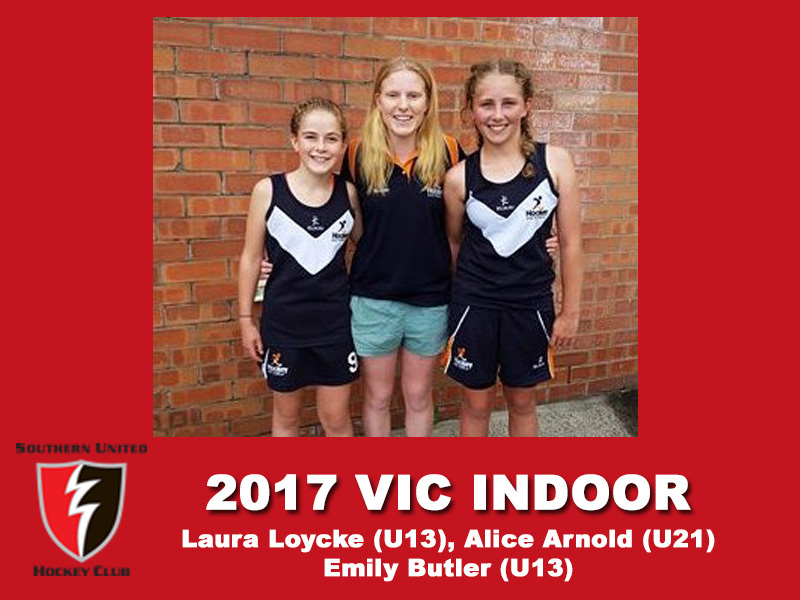 Details of these options are available here. 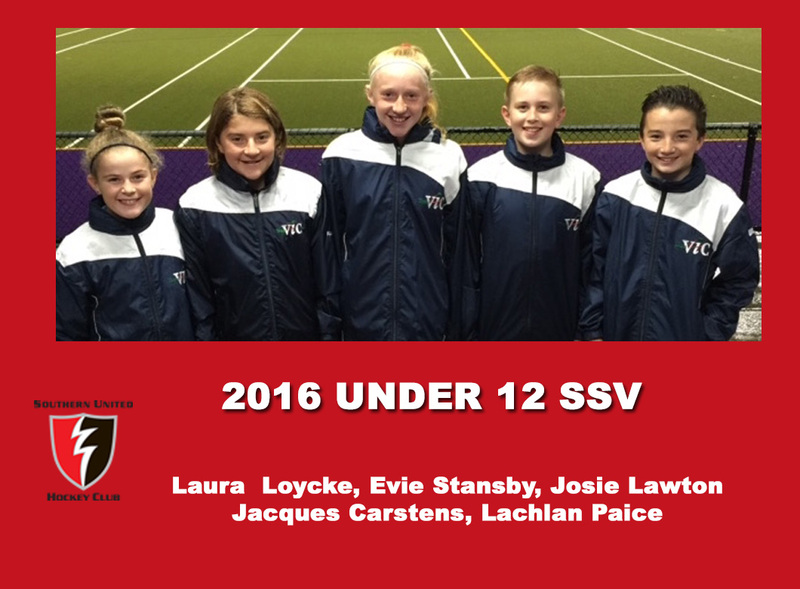 The club continues to produce junior players of high quality through its various development progrems, i.e. 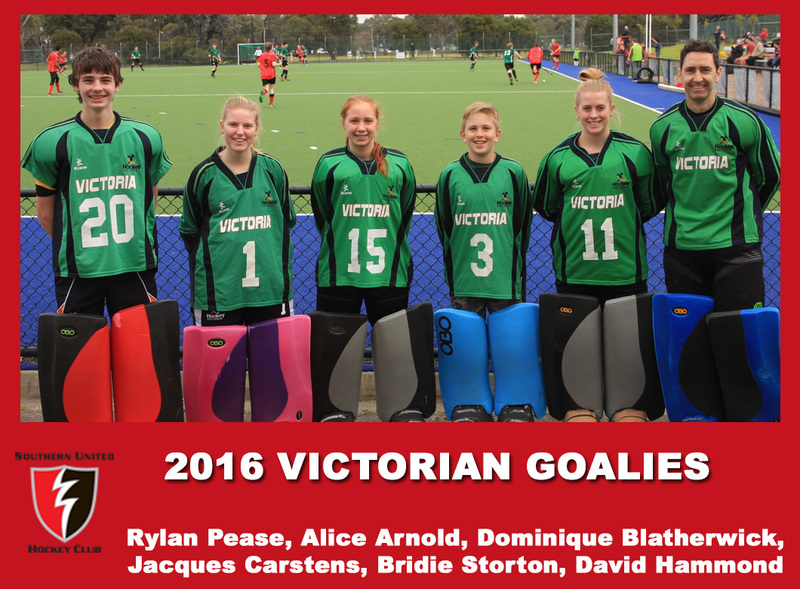 McKenzie’s Skills Clinics, Southern United Hockey Academy, and goalie clinics. 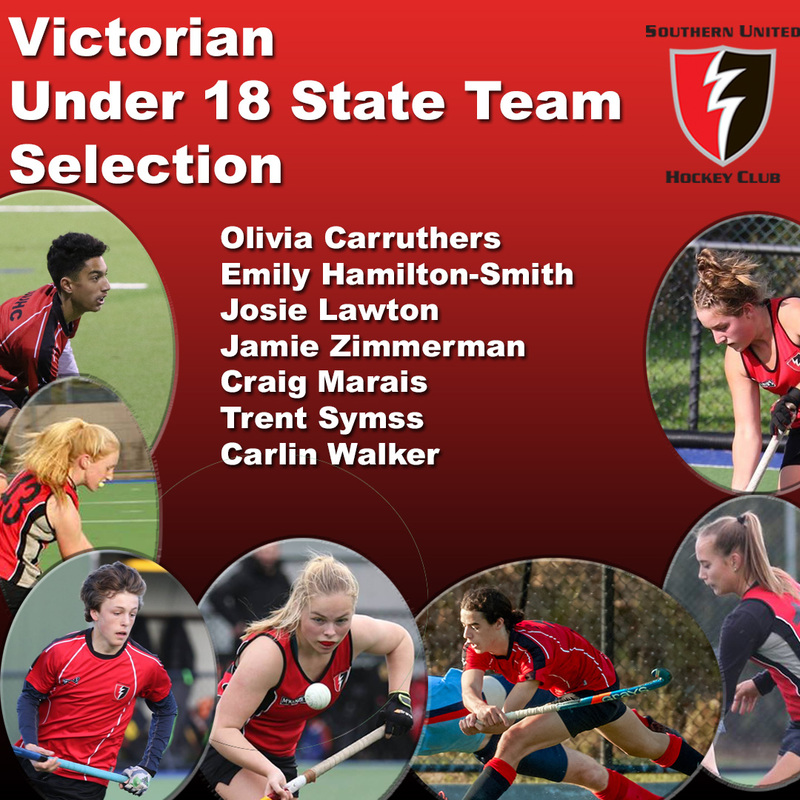 This is reflected in the increasing number of SUHC players earning selection in regional and state outdoor and indoor teams. 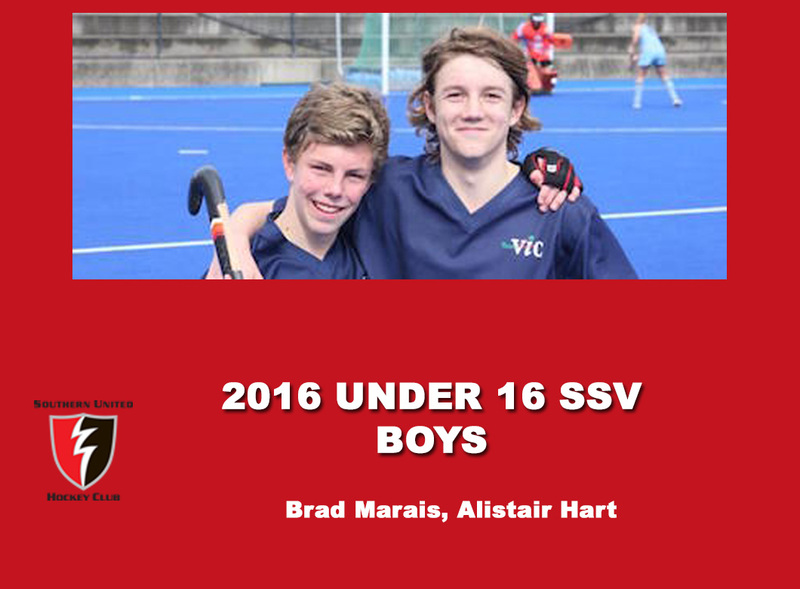 While junior hockey in Victoria is up to Under 16, and Under 18, representative “under age” hockey continues up to under 21. 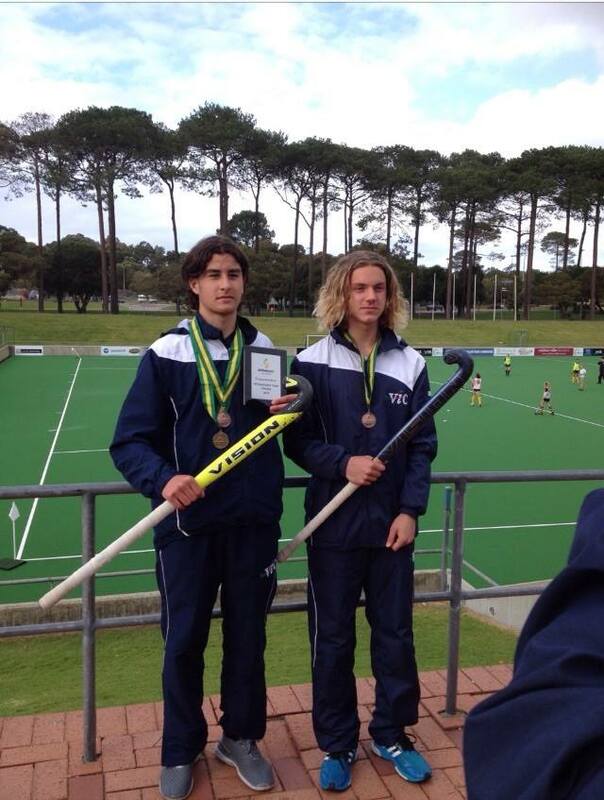 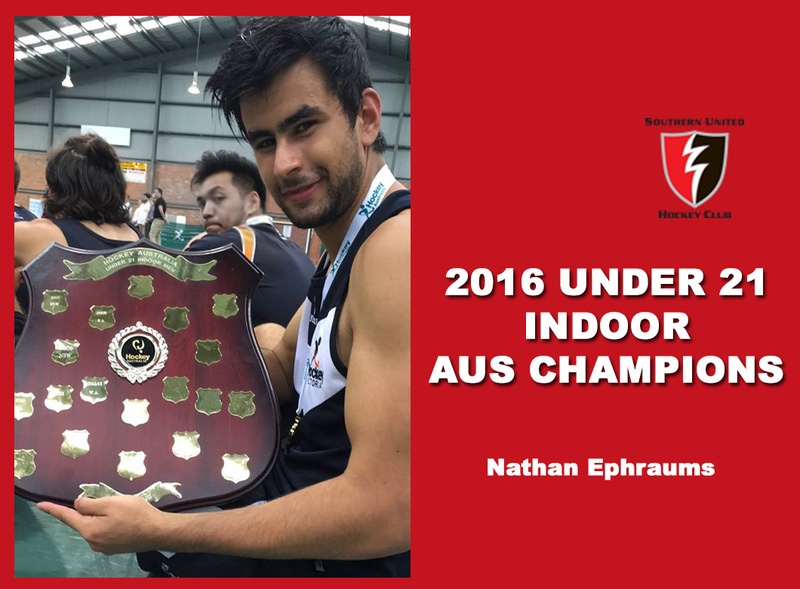 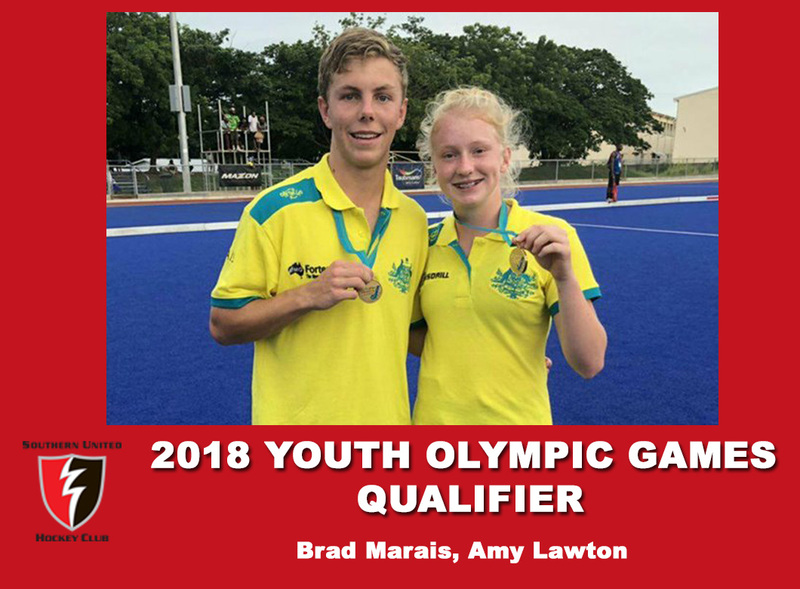 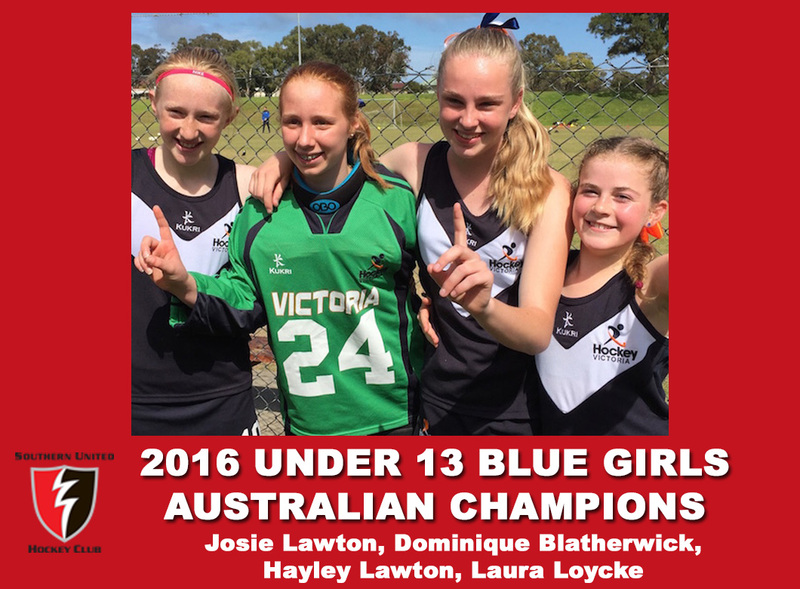 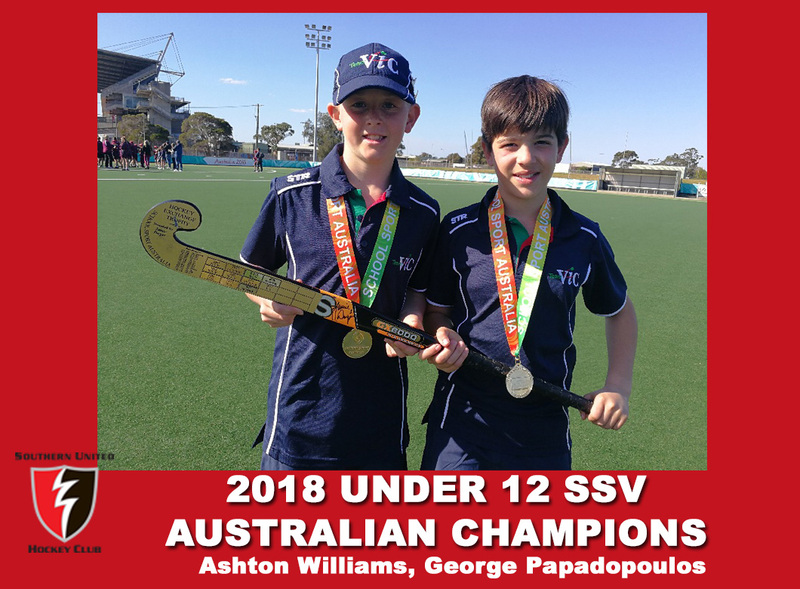 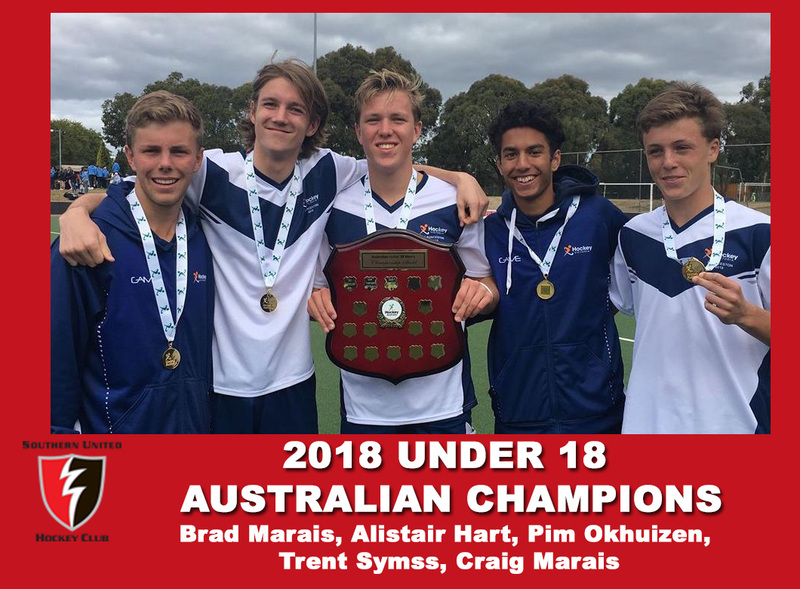 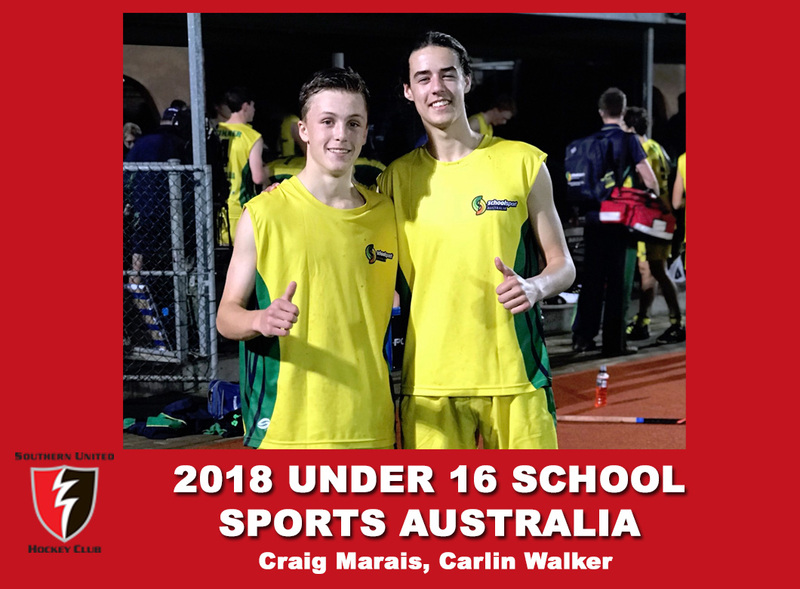 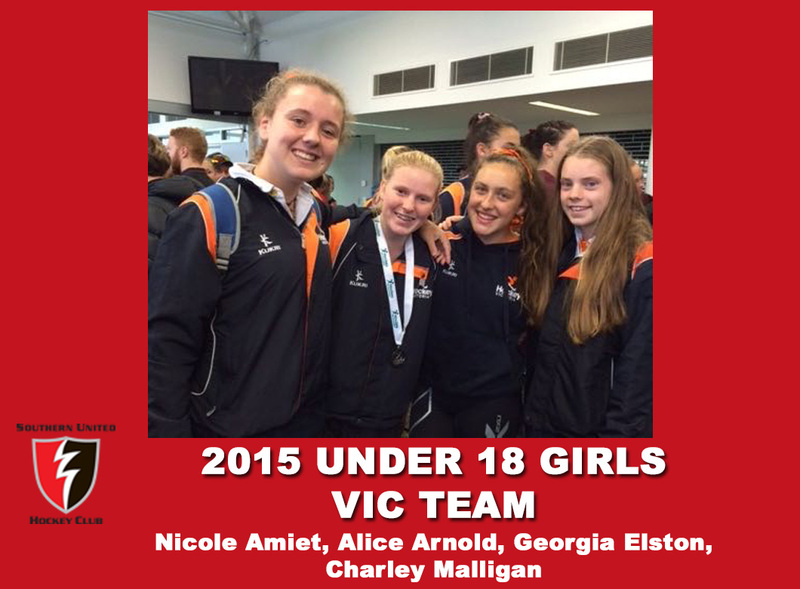 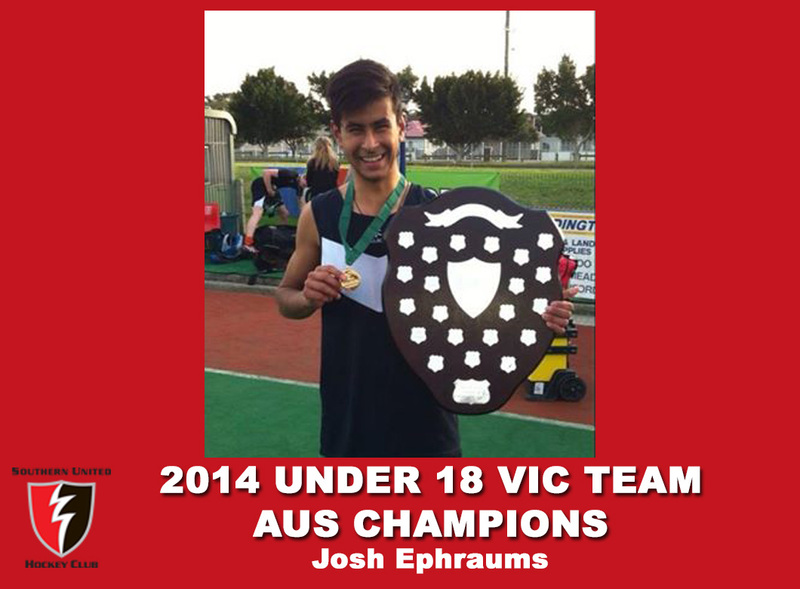 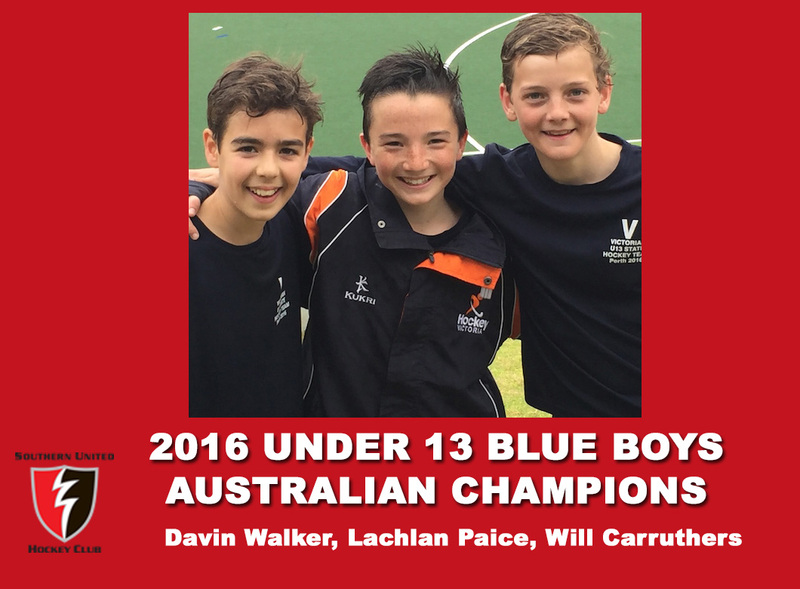 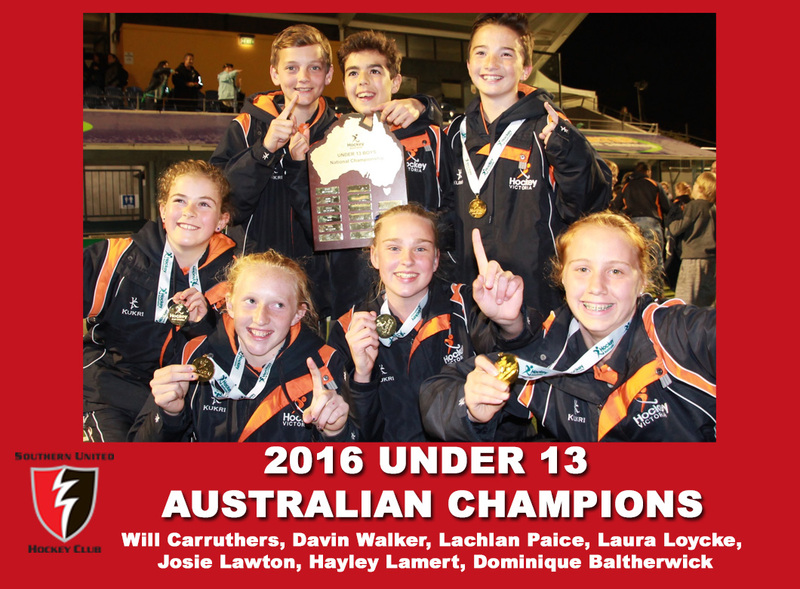 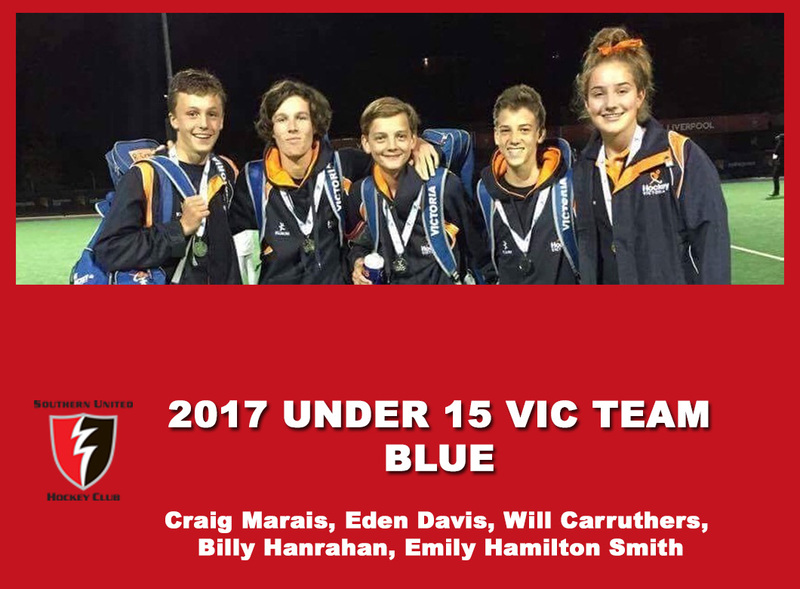 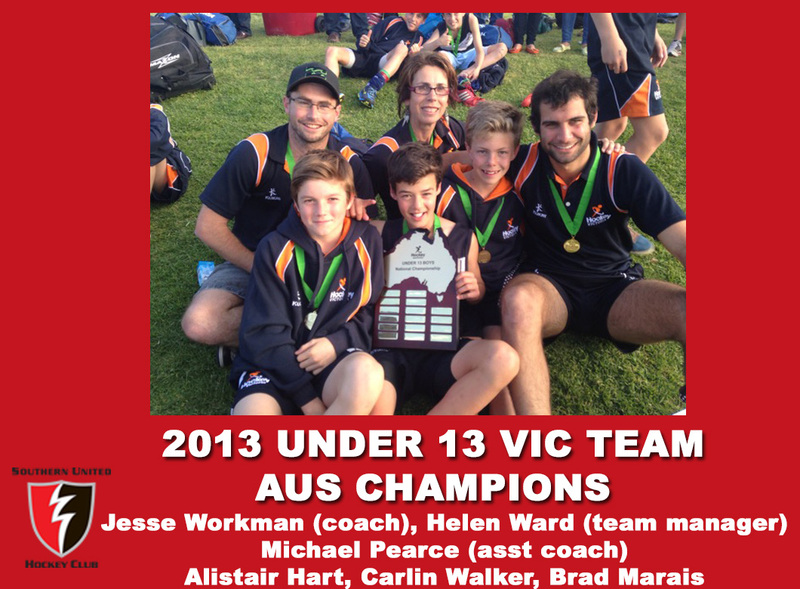 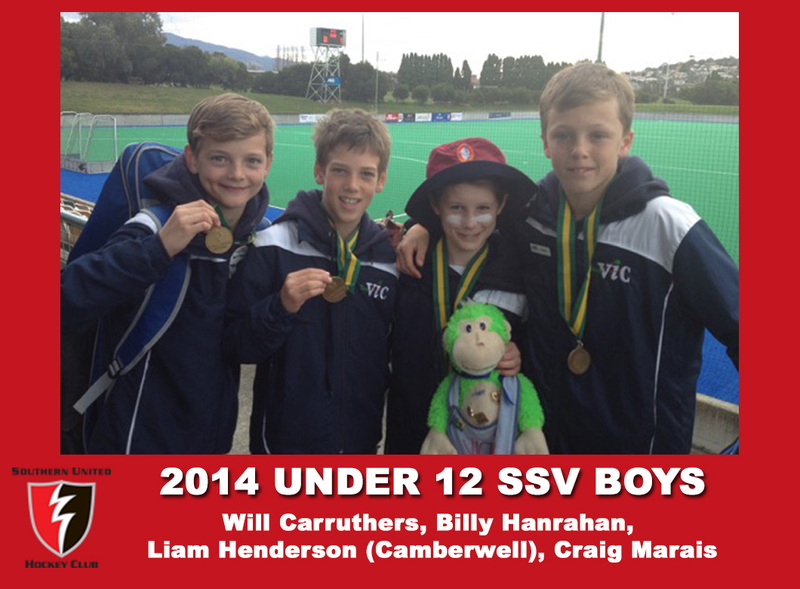 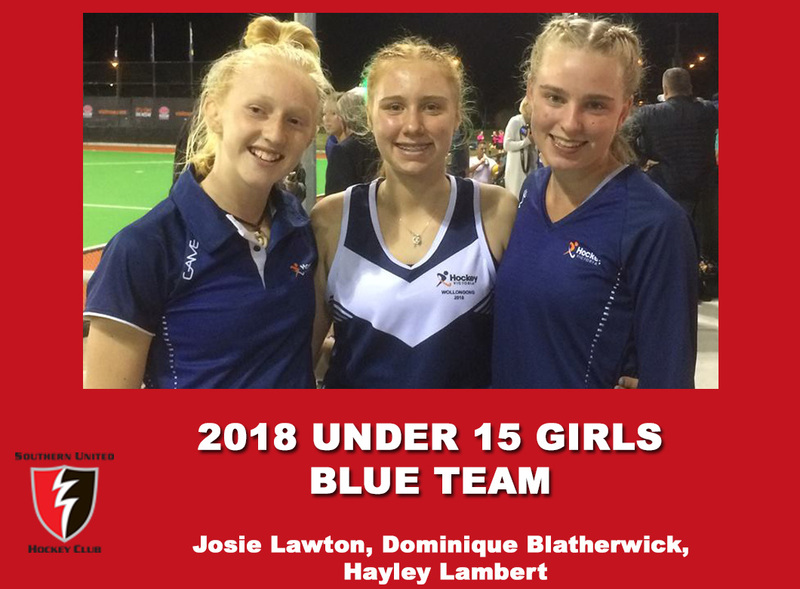 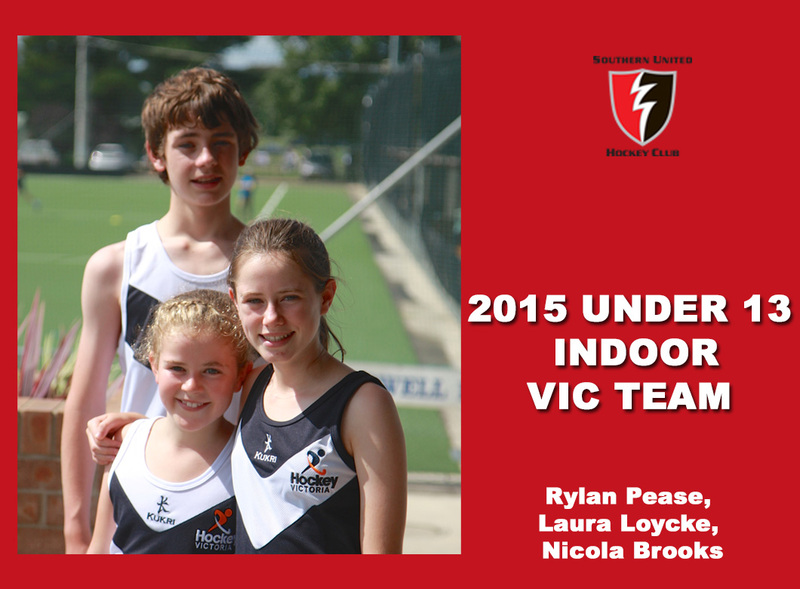 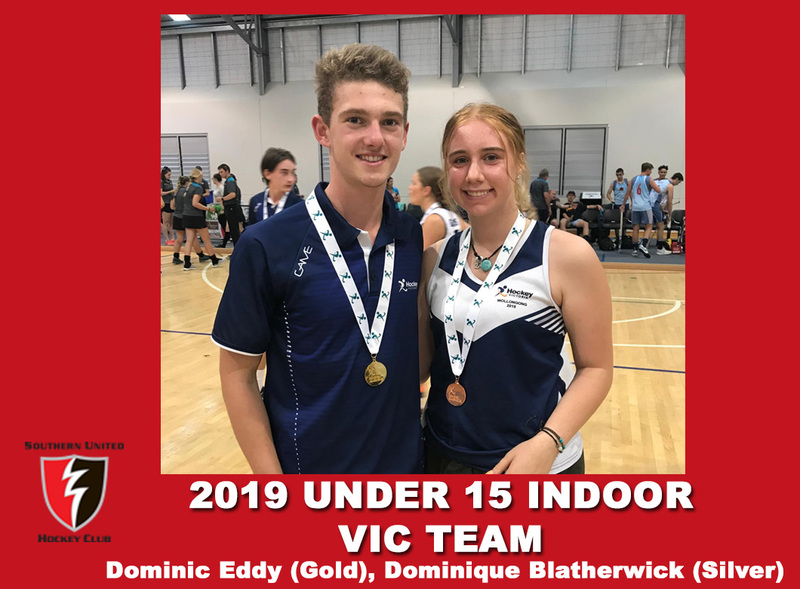 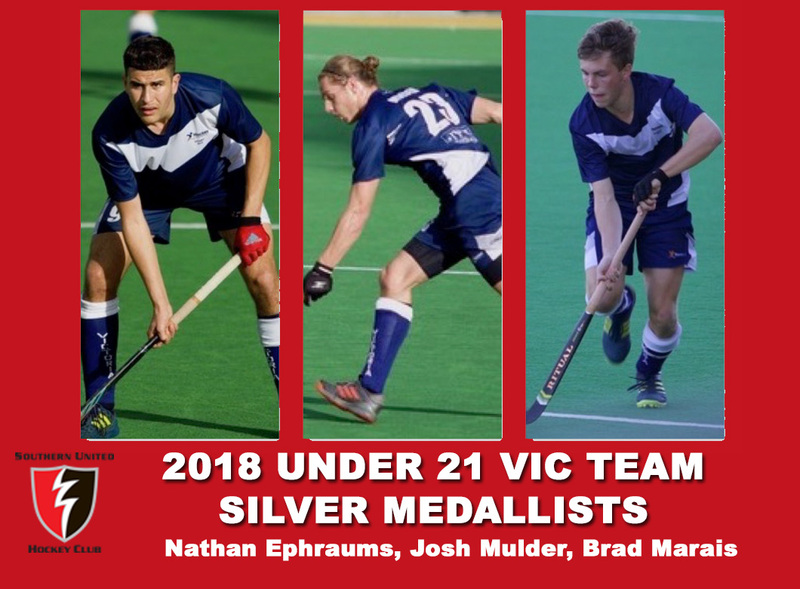 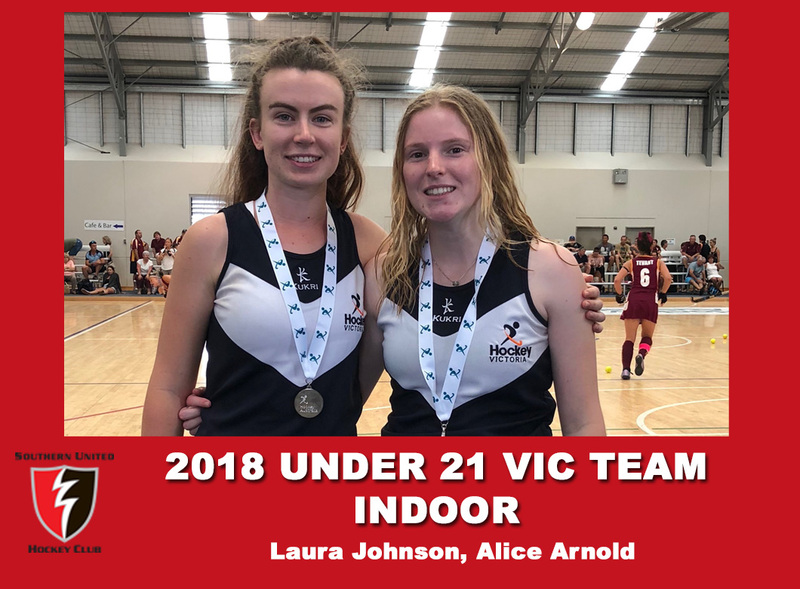 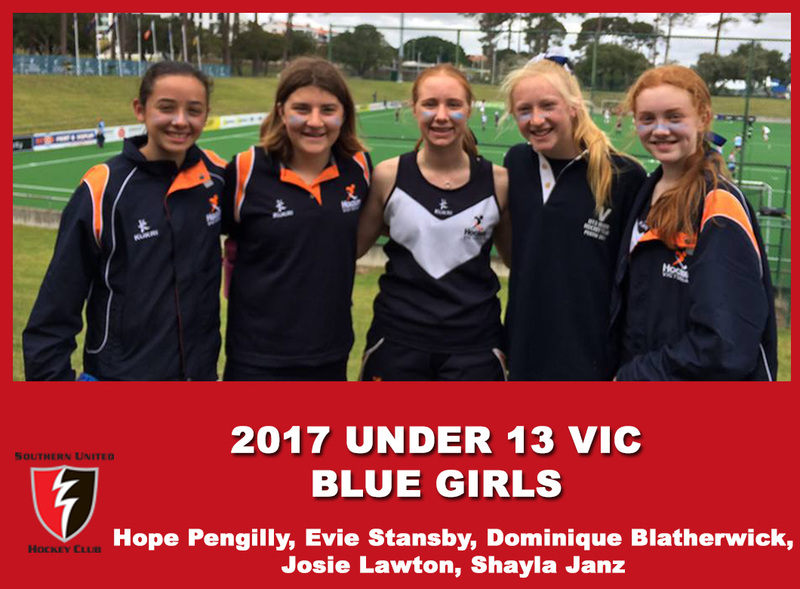 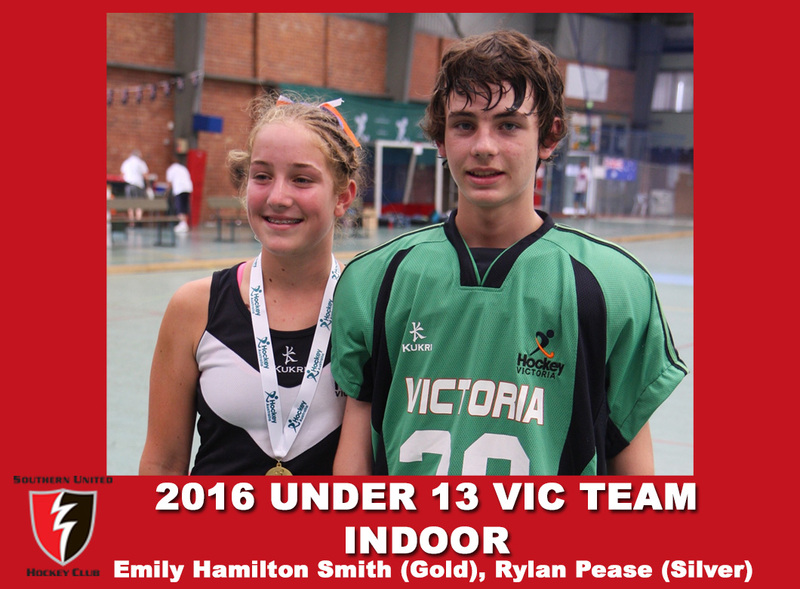 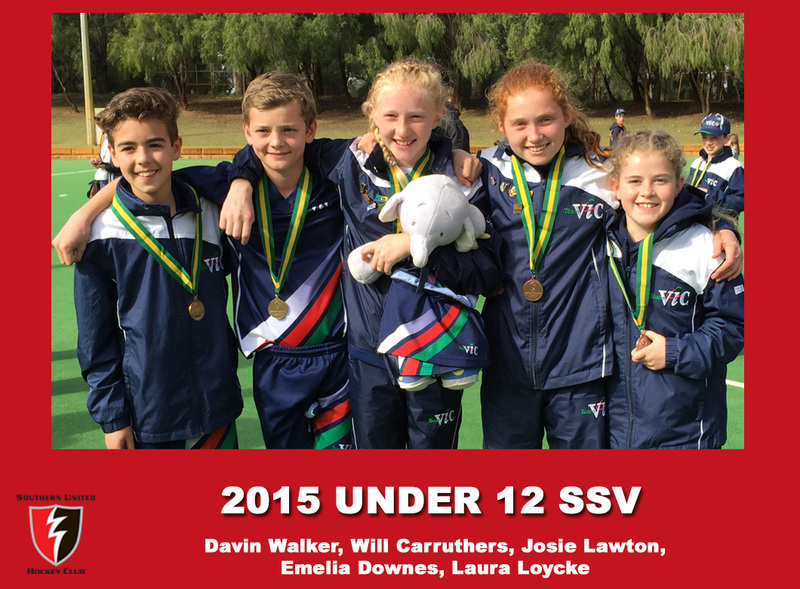 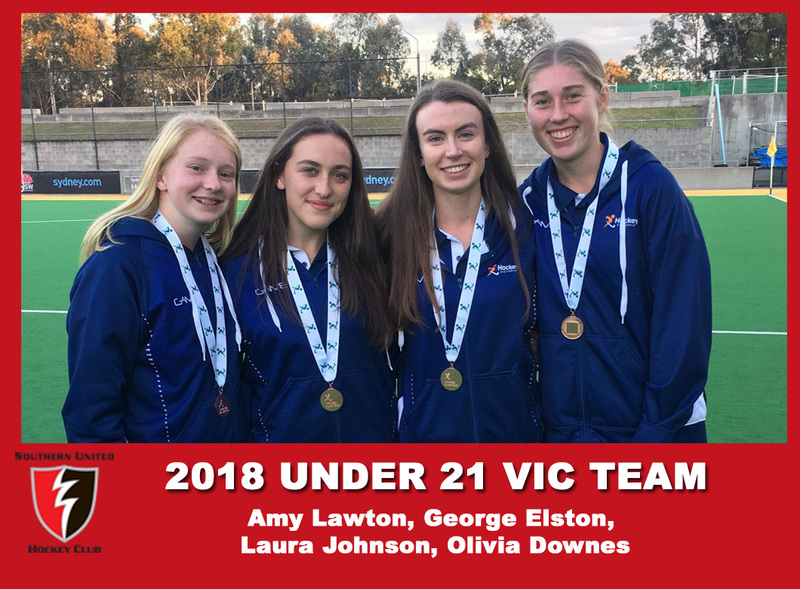 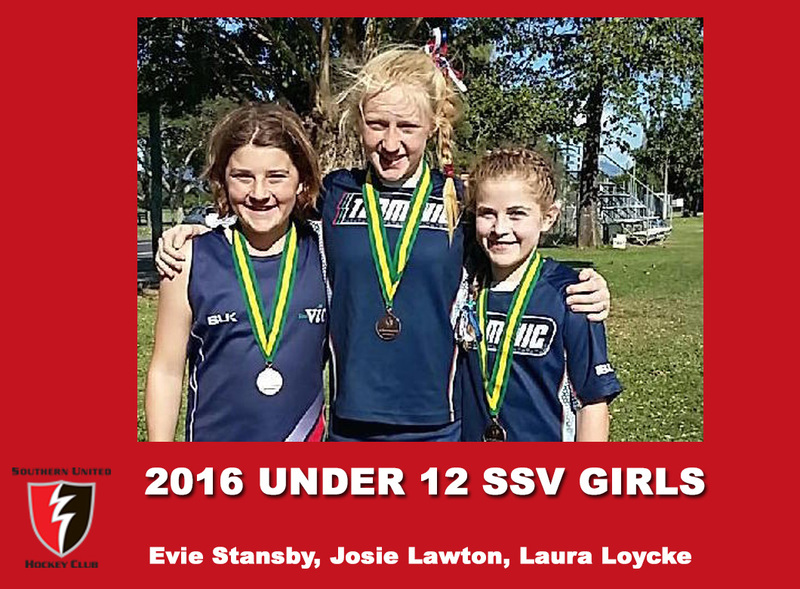 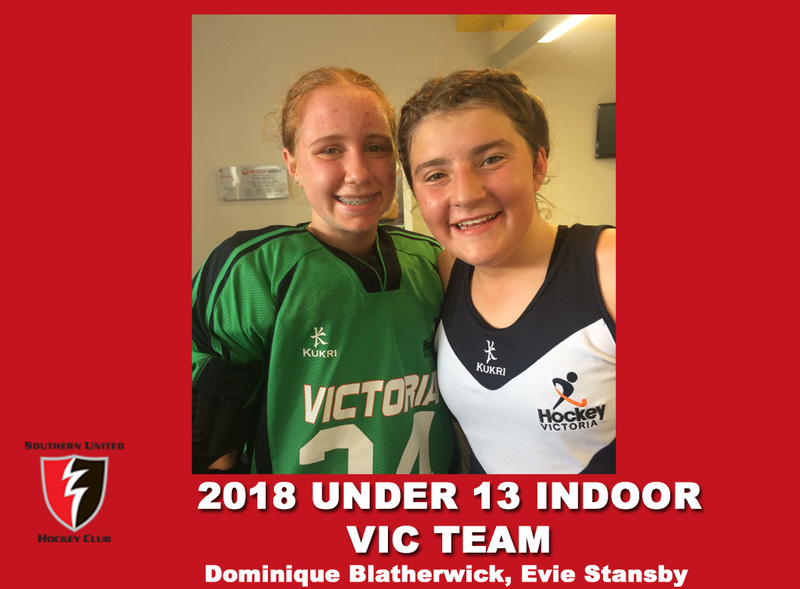 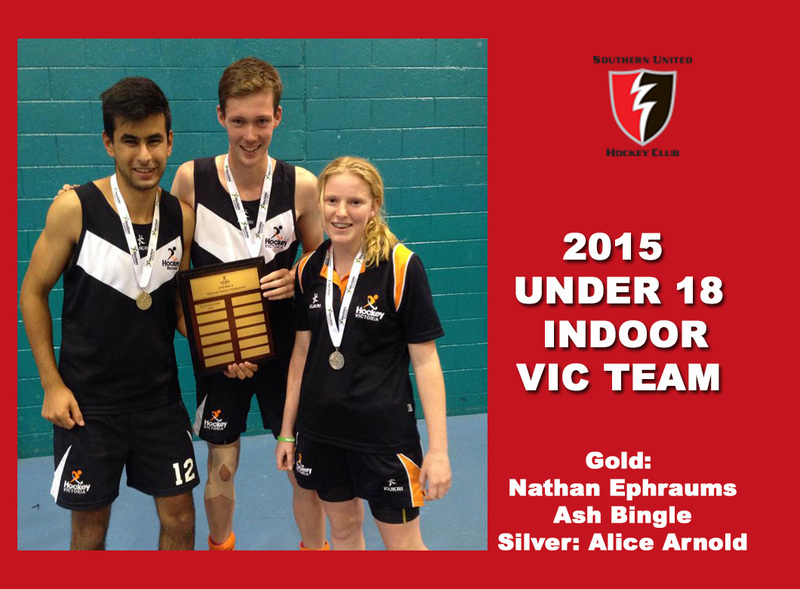 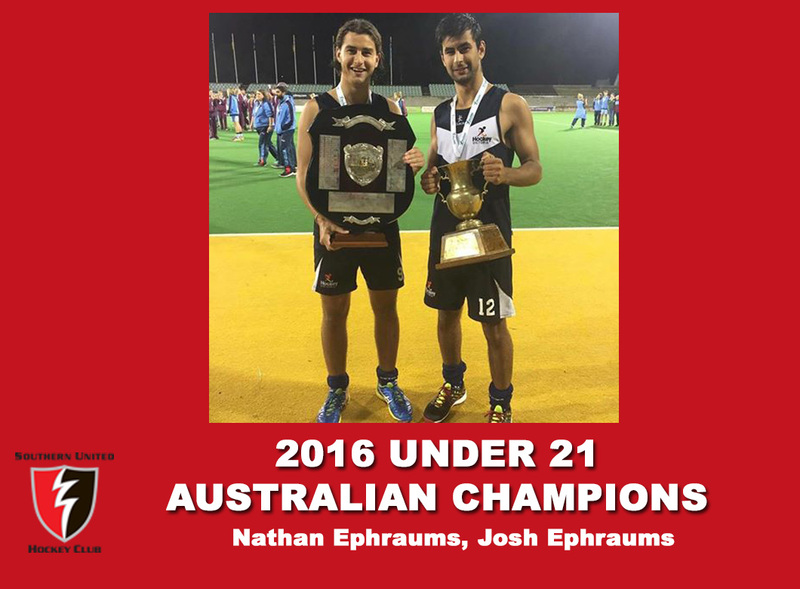 Below celebrates all under age hockey representatives. 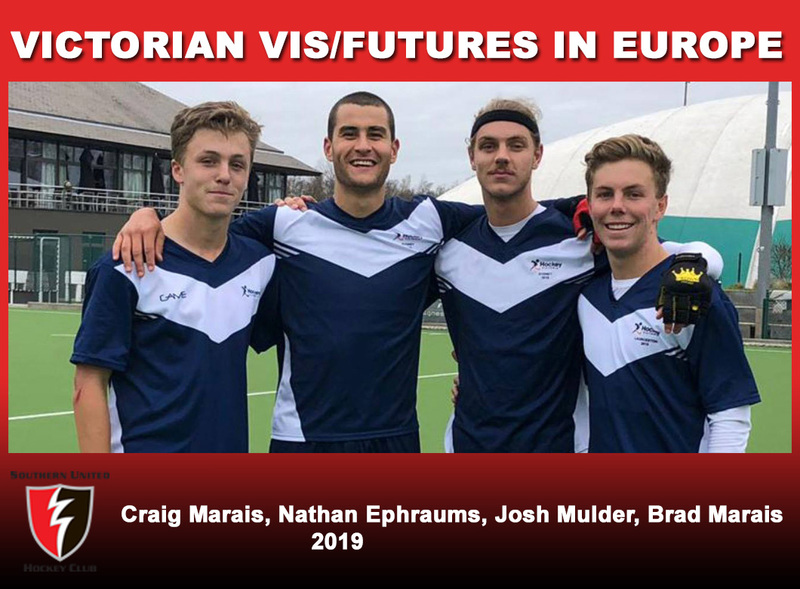 For our senior (open, masters) players see men, women, masters. 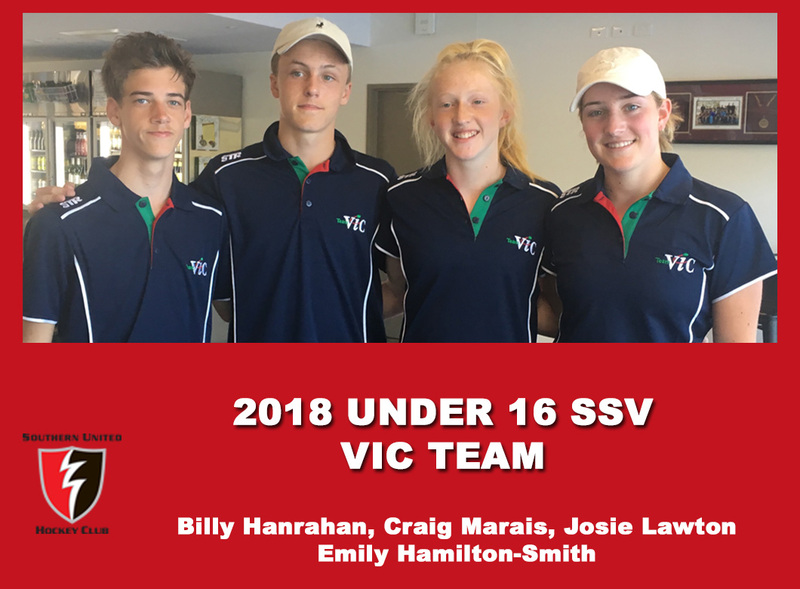 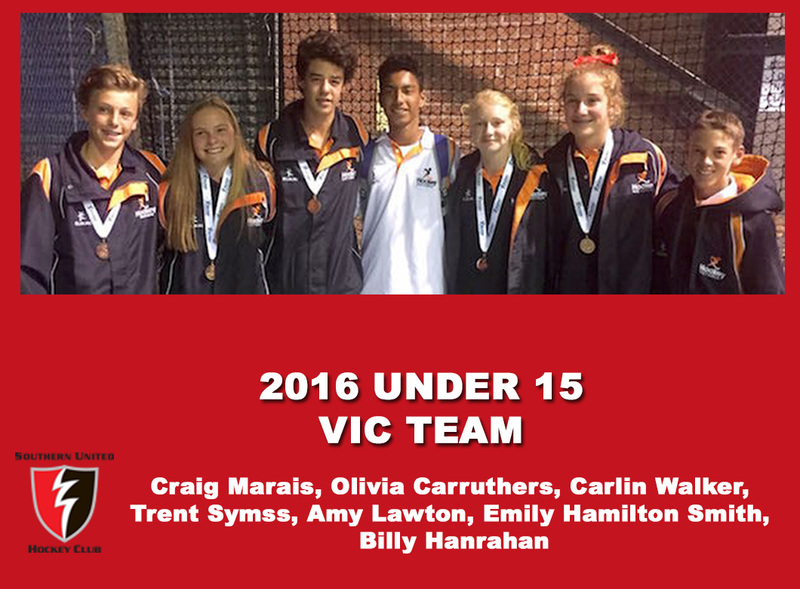 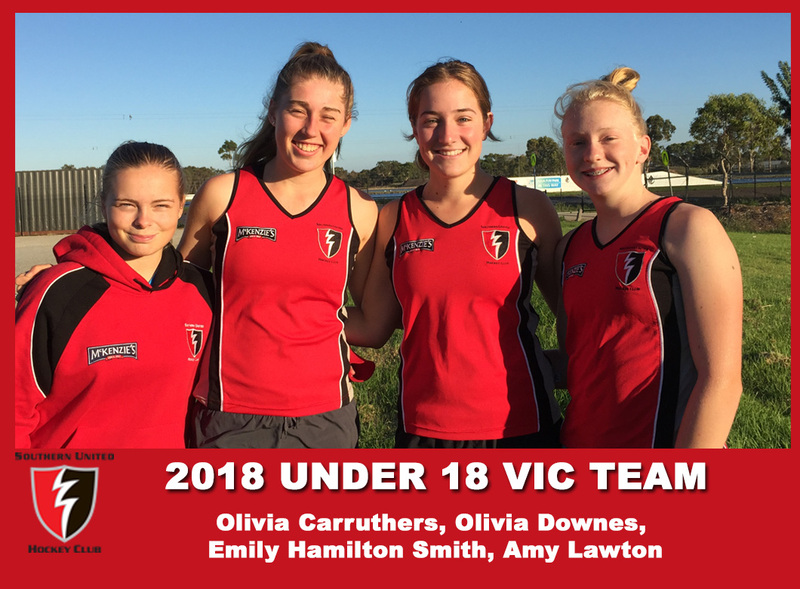 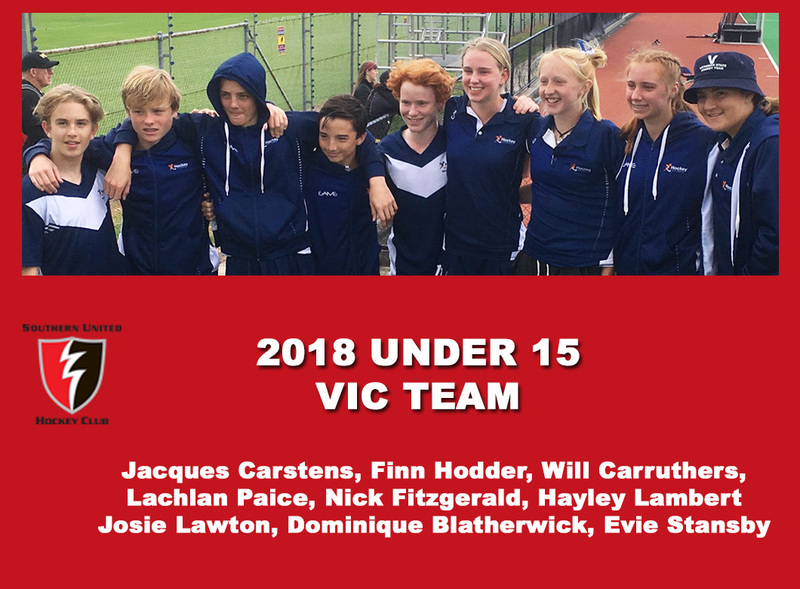 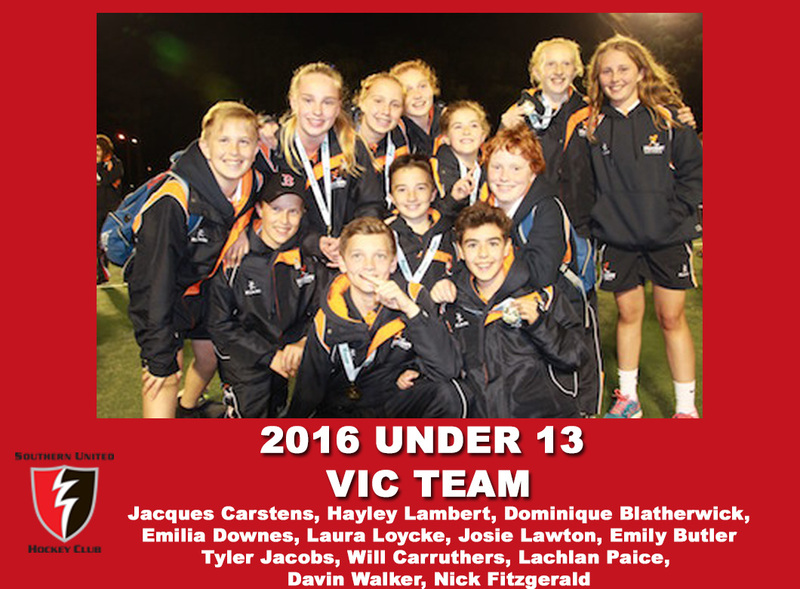 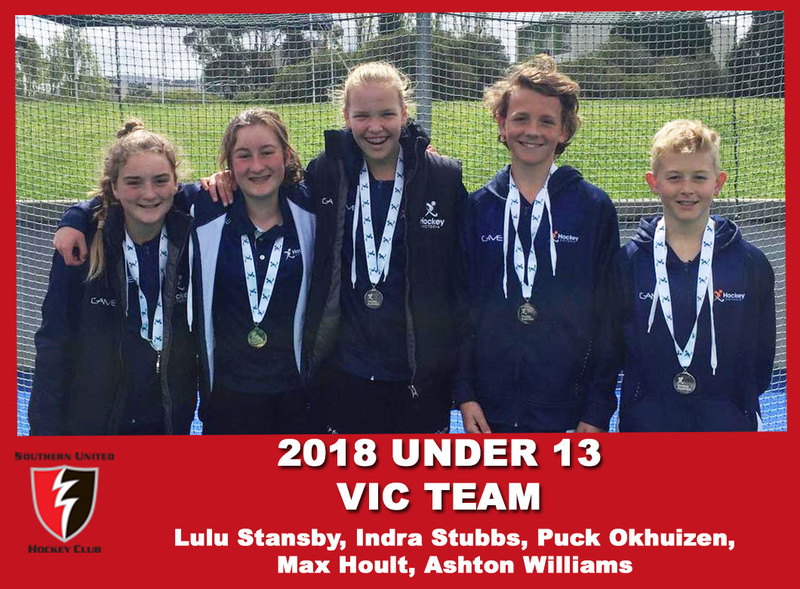 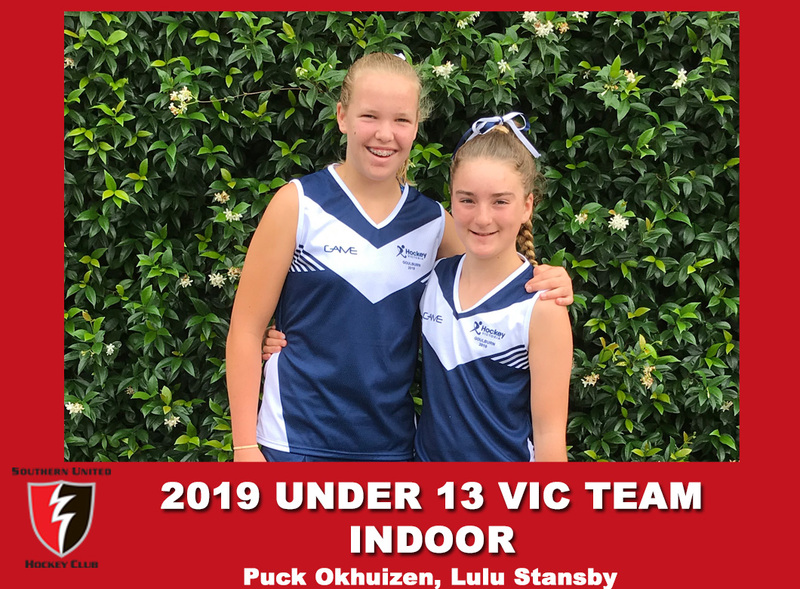 2015/2016 HV Academy Nicole Amiet, Alice Arnold, Olivia Carruthers, Will Carruthers, Emilia Downes, Olivia Downes, Georgia Elston, Billy Hanrahan, Alistair Hart, Hailey Lambert, Amy Lawton, Josie Lawton, Laura Loycke, Charley Malligan, Brad Marais, Crag Marais, Josh Mulder, Pim Okhuizen, Rylan Pease, Bridie Storton, Christian van der Merwe, Davin Walker, Carlin Walker, Tom Youds. 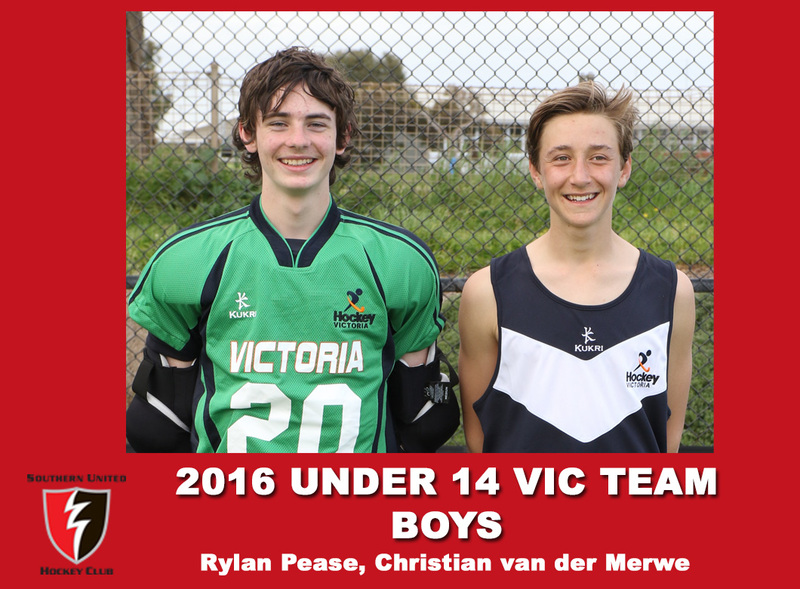 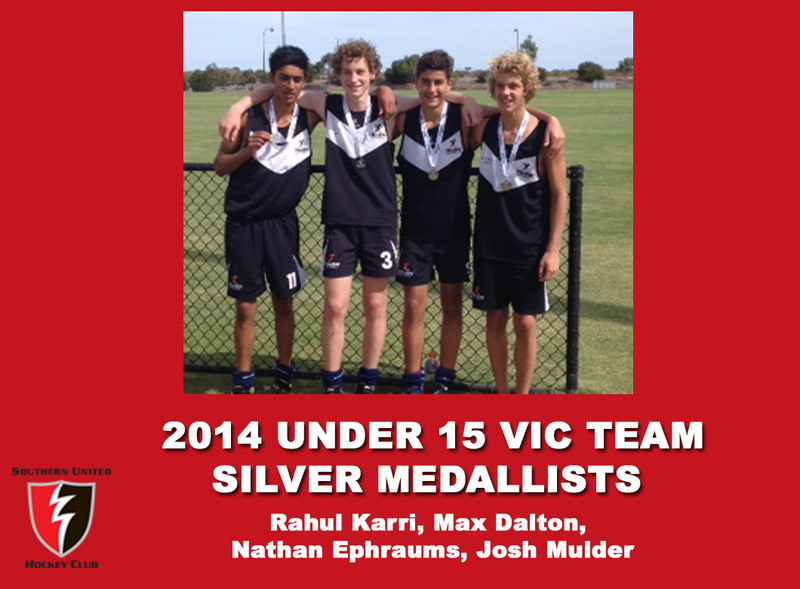 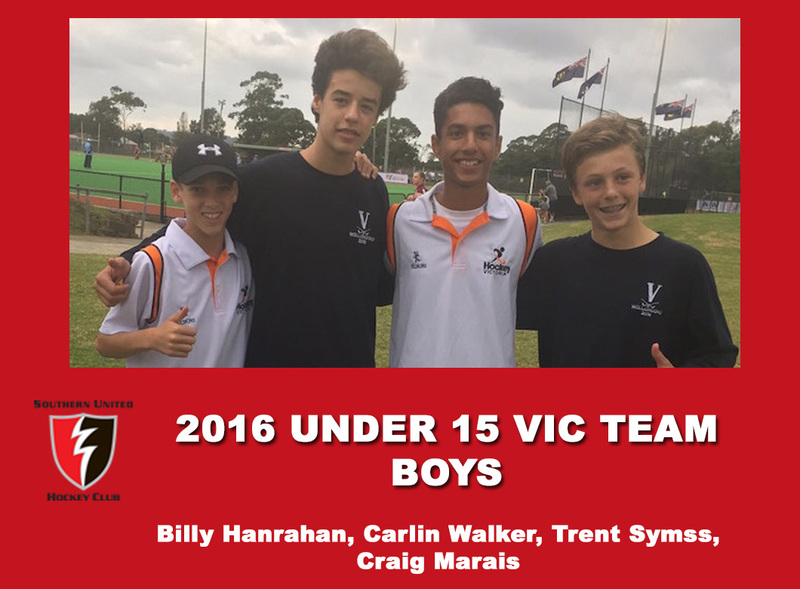 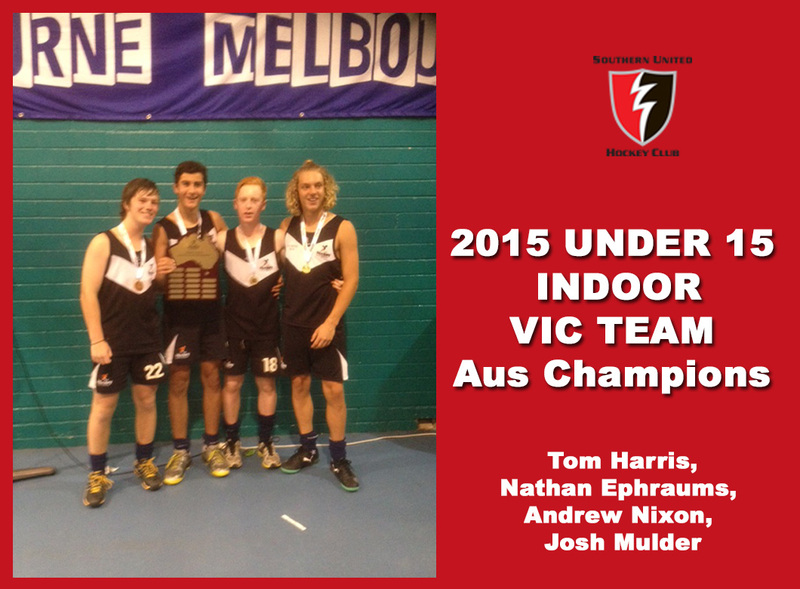 U17 Boys Sharks Jack Carlson, Ben Eddy, Sam McLoughney, Mitchel Stutterd. 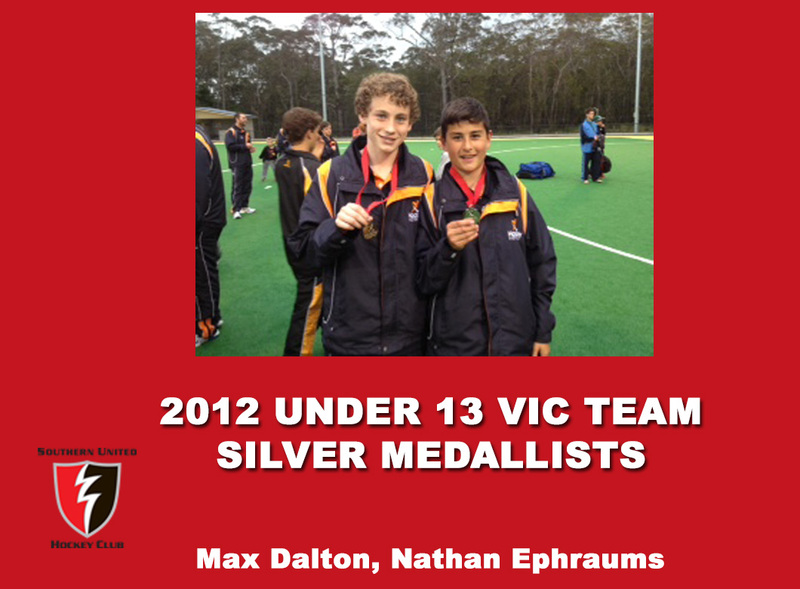 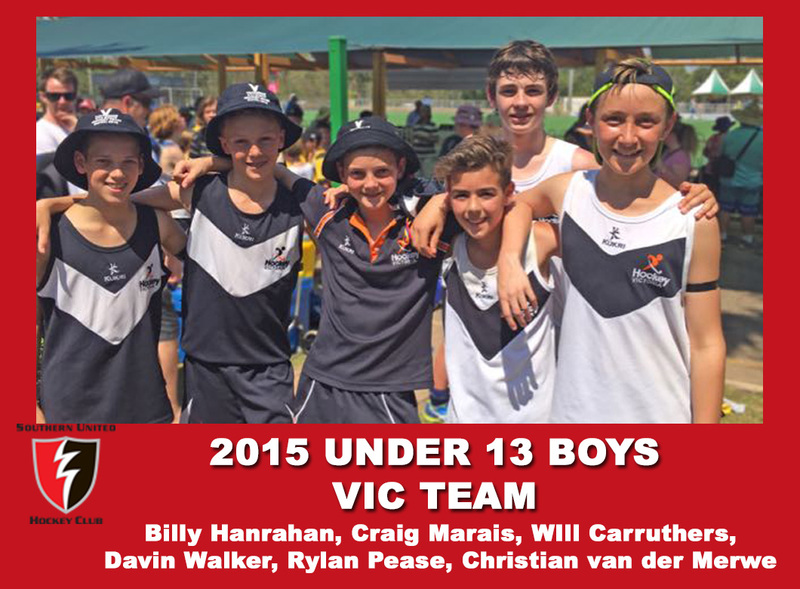 U13 Boys Max Dalton, Rhy Dyball, Nathan Ephraums, George Katsaras, Calvin Martinz, Bryce Marquardt, Lachlan McLeod, Mackenzie Thompson, Tom Youds.